Quick Thoughts: SONS OF ANARCHY, "Booster"
Sons of Anarchy's return to normal continued as we got an episode that really felt like a Season 1 or 2 outing. It was nice being back to a familiar story, but it may have been too familiar. Probably the best part of "Booster" wasn't anything done by the Sons themselves, but by the new sheriff in town, Eli Roosevelt. The scene where he barged into the clubhouse and essentially trashed the place under the guise of a "safety" inspection was tense and captivating especially since all the Sons could do was sit back and let it happen. All of the stuff between Jax and Clay made it feel like we're finally moving forward with the main storyline. Since day one, Jax has been disenfranchised with the club and has been waiting for his opportunity to confront Clay. He finally did, but it was about getting out instead of taking over. I think by now, we all know Jax isn't going anywhere, but at least we're moving closer to that conclusion. 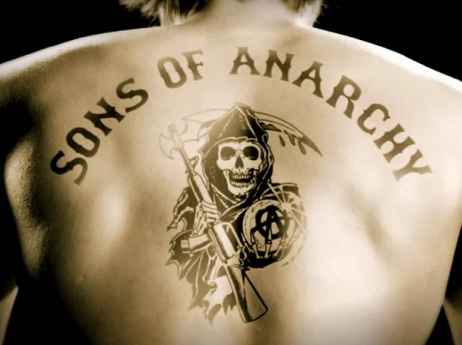 Is it just me, or does anyone else think that Tara's going to die which will be what keeps Jax in SAMCRO? Speaking of Tara, her continued silence about the letters that she got from Mo in Ireland was still the low point of the episode. Maybe it's because there's been so much progress between her and Gemma, but the idea of the latter sneaking around and learning about the betrayal by the former feels like a step in the wrong direction. Finally, all of the drama between SAMCRO, the Russians, and the Cartel could have been ripped from earlier episodes. Once again the Sons get involved with the wrong people and are in danger. I'm just glad Danny Trejo and Benito Martinez are around to freshen things up. I am also very intrigued about how the presence of the cartel will affect the bond between the Sons. "Booster" was a decent episode that is going to set up the on-going drama for the rest of the season. Alone, it probably wasn't one of the strongest outings, but I have a feeling that the payoff is going to be worth it.